Today I am going to share with you all my experience with b2nshop, an international online site, which ships perfumes, cosmetics and makeup tools worldwide. A new breed of cosmetics and makeup tools. 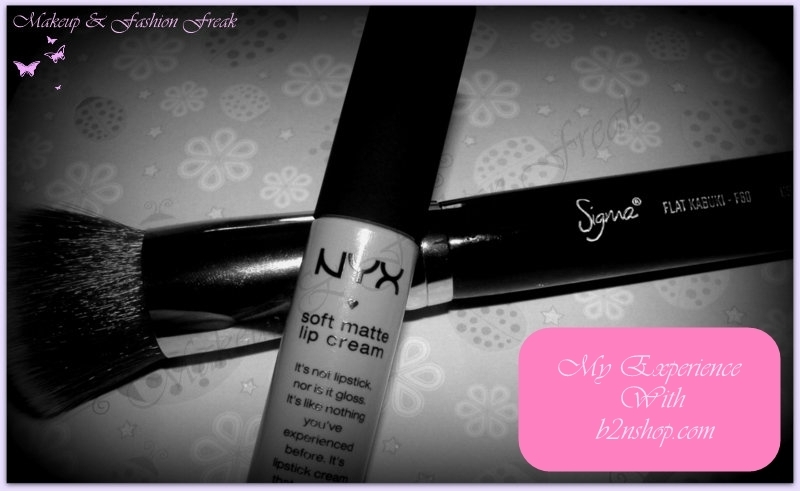 B2NSHOP has a wide range of NYX products, which most of us love to have and also the SIGMA brushes which cannot be ignored either. The first best thing is we can buy our favorite brands all at one place and the next best thing is we can pay using debit card, no paypal required. They ship worldwide and the package reaches you securely. Also they have great customer service. Right now, they are providing free shipping on order over US$150. So, I am making a list already. :) What you guys waiting for? Have you tried shopping from b2nshop? Do share you experience. p.s. Products sent by site. Honest Review.